After playing professionally for the Denver Broncos Omar Bolden decided to retire from football after suffering an injury to focus on building his brand #PositiveLiving. Now as an influencer he has found enjoyment in providing inspiration for others to strive for and maintain healthy lifestyles. Omar Bolden gives his opinion on Colin Kaepernick kneeling and other NFL players protesting during the National Anthem while providing some perspective on both sides of the argument. Discussing the cause of the protest, Omar shares his own experiences dealing with the stereotypes society associates with Black men. 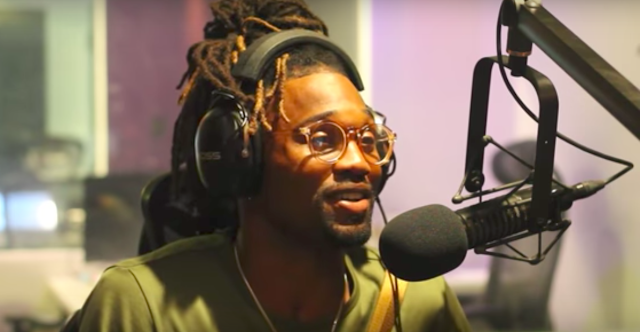 Focusing now on expanding his brand Omar talks about maintaining a strong social media presence, posting workout videos, and getting tips from Dimplez on tapping back into the Facebook community. Listen to full Omar Bolden Interview here.